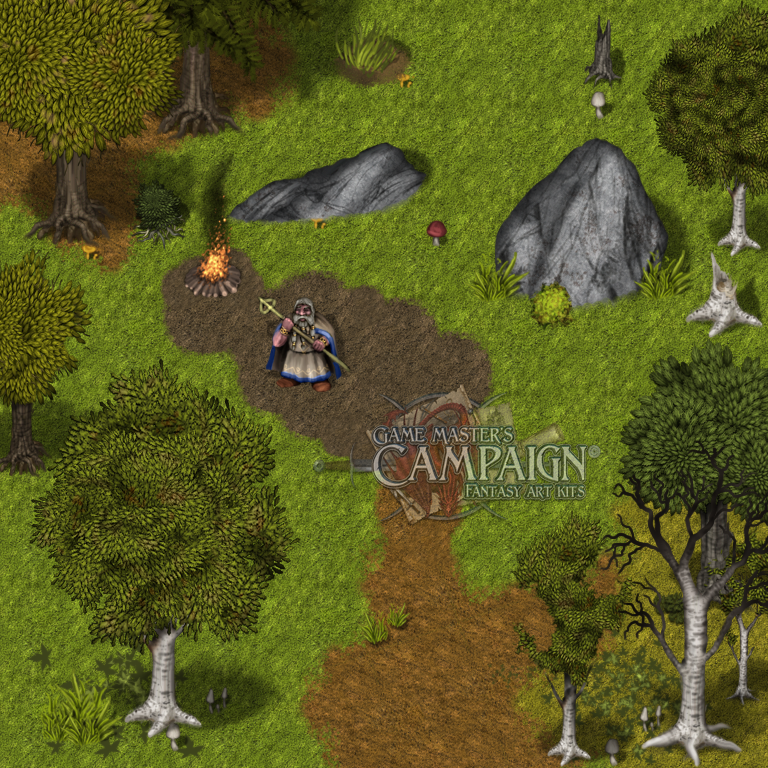 Home / Addon kits / Roguelike art kit 4 “Summer forest” has been released. I’ve just released a new art kit in my Roguelike fantasy art kit series, this time art kit number 4 “Summer forest”. Using the tiles in this art kit, you can easily rig up forest settings, using a whole range of trees, brushes, plants, pathways, grass tiles and more. Example seen has been created by adding the files on top of each other, no after effects has been put on in photoshop afterwards, though this can also be done to further enchance a game map.